An outlaw motorcycle club sets up shop next door to Sea Haven. A brutal education in a Russian training facility for assassins has taught this group of men one thing: It's a long road to redemption. JUDGMENT ROAD. 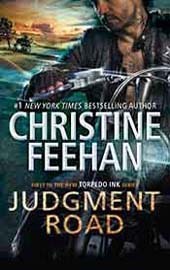 The Torpedo Ink motorcycle club has its relationships put to the test in this gritty, suspenseful new installment of the series as members seek to build new lives--and find love--in the community of Sea Haven. When the VP of Torpedo Ink, Steele, sees the woman he's never gotten out of his system he'll do anything to keep her. But, her secret will change his life forever. Reaper is the enforcer for the motorcycle club and his past is catching up with him. Trained as an assassin. Abused as a child. He's quiet, reserved and deadly as hell. So when he can't get Anya, the new bartender, out of his mind he wants her fired. He can't have that kind of distraction. Reaper is his own brand of danger and Anya knows it. But, the danger she's hiding from keeps her at the Torpedo Ink owned bar. And the longer she's around him, the harder it is to resist him. 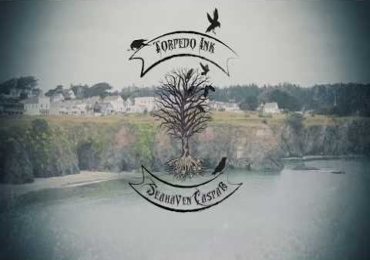 WATCH MORE book trailers and other videos about the Torpedo Ink Series. 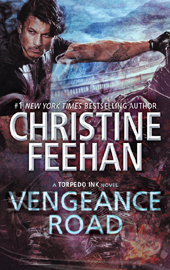 READ MORE of Christine's blog posts about the Torpedo Ink Series.